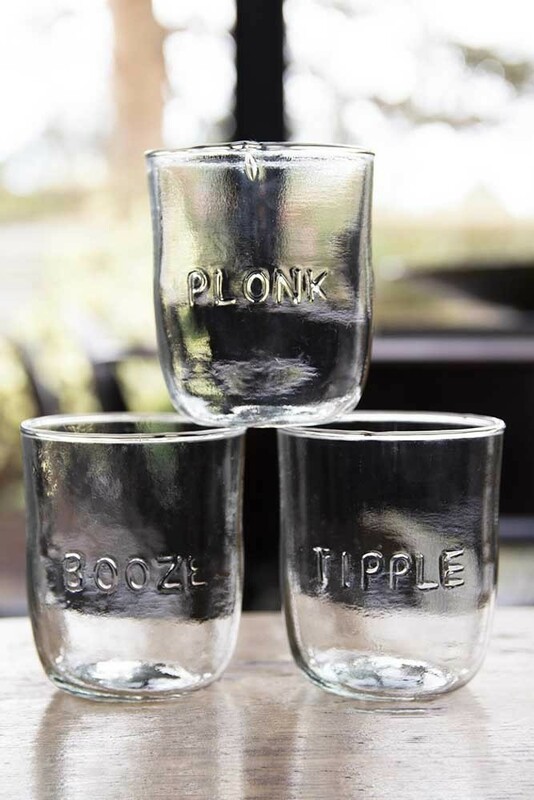 A humorous set of 3 glasses intended for water… or something stronger! 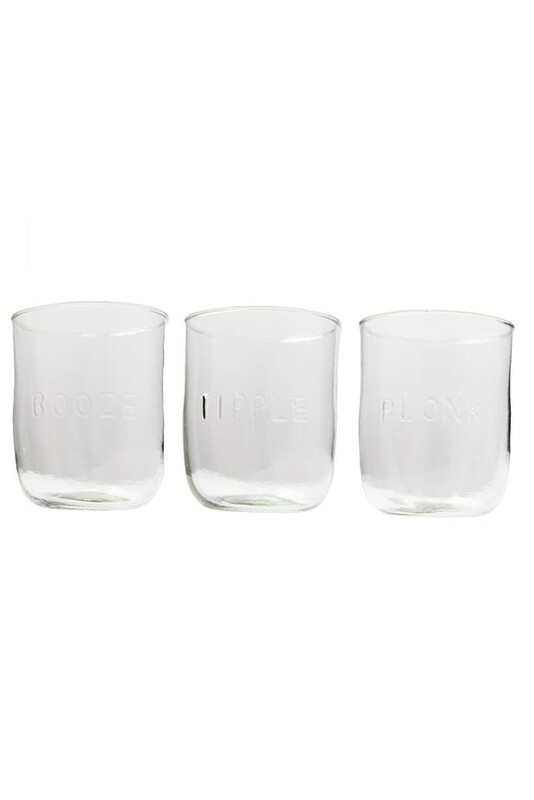 Featuring the words ‘Booze’, ‘Tipple’ and ‘Plonk’ the three water glasses in the set are made from recycled glass and so the colour may vary slightly between the glasses in your set. We think that this only adds to the value of these beautiful kitchen and bar essentials. The Booze, Tipple and Plonk Glasses measure height 10cm x diameter 8cm. 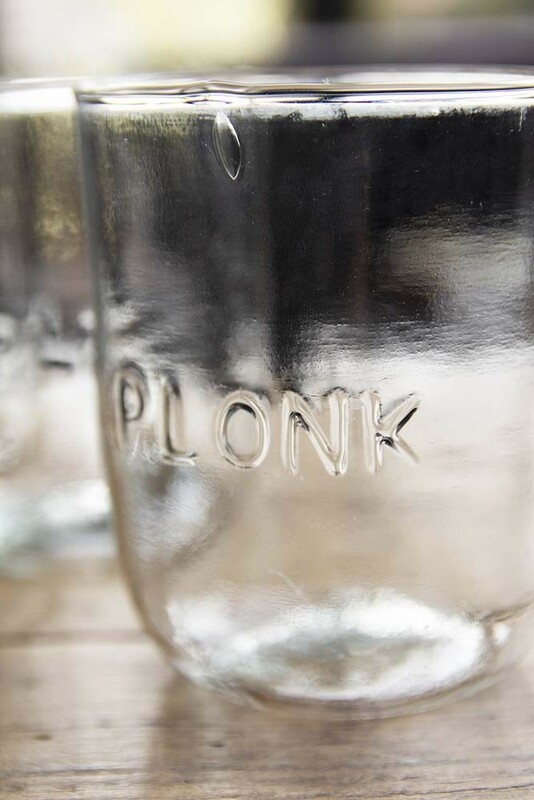 Beautiful water glasses like the Recycled Clear Glass Water Tumblers are kitchen essentials and with the added typography twist, we think that you will love this forever! But the reason that we think that you will really love these glasses is that they are recycled. Kind to the earth, the eco-friendly glasses have been made from recycled clear bottles meaning that each glass has its own unique colouring and pattern. In our opinion this only adds to the beauty of these set of water glasses. 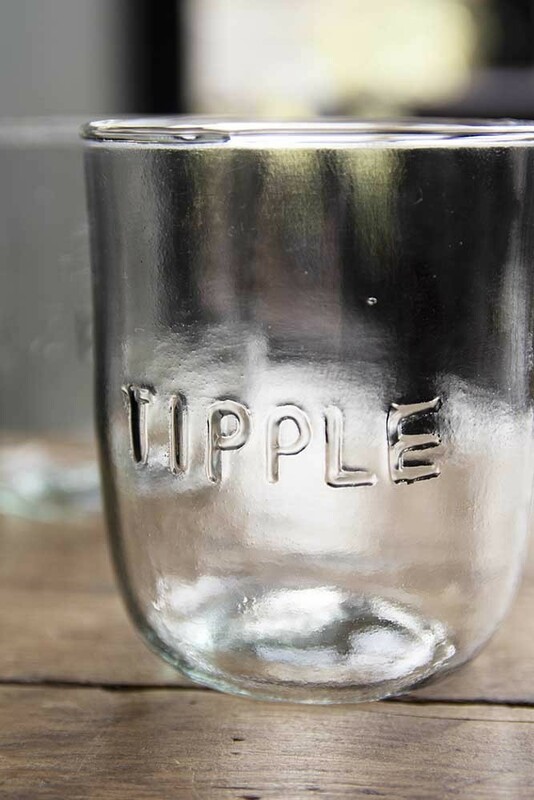 Alternatively, use the beautiful Boozy Typography Tumblers around the home as stylish paintbrush holders, small vases, toothbrush mugs the list is endless. 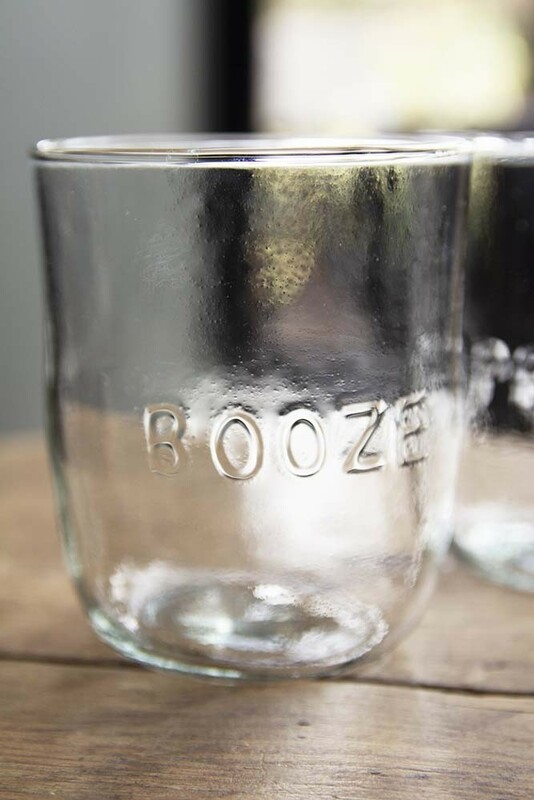 Another lovely idea would be to gift these eco-friendly set of glasses to that friend or family member who loves a tipple!